The American Antiquarian Society just announced that retiree Kathy Major, back in the archive as a volunteer, had identified three previously unknown letters from Richard Henry Lee. 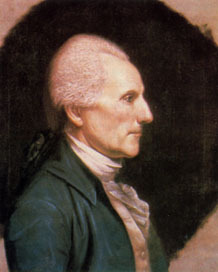 Lee is best recalled for having proposed independence at the Continental Congress in 1776, but he was active from the Stamp Act crisis of 1765 (on both sides) to presiding over the Congress in 1784-85 to the first U.S. Senate in 1789. The letters were donated to AAS almost thirty years ago by Mrs. Allan Carr McIntyre of Watertown, Massachusetts, and contain much valuable information about the military progress (or lack thereof) of the American Revolution from 1776 to 1778. Written in Philadelphia, all three were addressed to Col. John Page (1744-1808), then serving as lieutenant governor of Virginia. Lee wrote the letters on 23 Sept 1776, 10 Oct 1777, and 7 Sept 1778. Those dates were, respectively, soon after the Battle of Brooklyn, soon after the Battles of Brandywine and Germantown, and soon after the Battle of Rhode Island. In other words, not at high points of the war from the American side. Yet Lee emphasized the positive. Despite the “northern militias…immensely expensive and utterly useless,” he wrote, the Continental Army was ready to stop the British forces at Harlem Heights (which it did, but only for a couple of weeks). “We heard yesterday from Lake Champlain and have the pleasure to find things there in a safe situation for this Campaign at least,” that 1776 letter concluded. 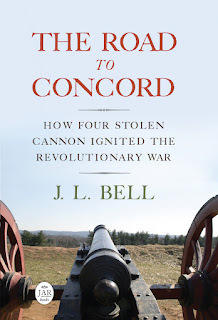 About the 1778 fighting in Rhode Island, Lee wrote, “Victory declared in our favor, the enemy being driven from the field in great disorder.” Of course the goal of the American campaign had been to drive the British out of Newport, and the British were still there. But victory was declared.